Enjoy a delightful menu in beautiful surroundings. Wahoo's Bistro & Patio is centrally located in the heart of the historic town of St. Georges and boasts panoramic views of the harbour. Our Executive Chef Alfred takes great pride in preparing Bermuda cuisine. He is well known for infusing only the best products that Bermudas waters have to offer. 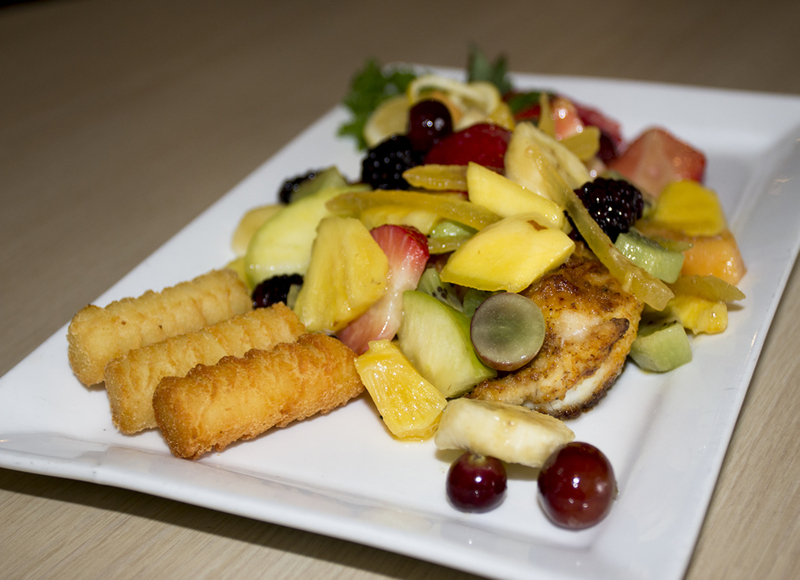 We offer a wide range of menu items that is guaranteed to satisfy any picky eater. Our famous locally caught fish items such as Wahoo nuggets, rockfish Picasso and of course our award winning fish chowder, delicious Wiener Schnitzel sandwich and our ever changing pasta special. The Wahoo's menu does have one important difference. 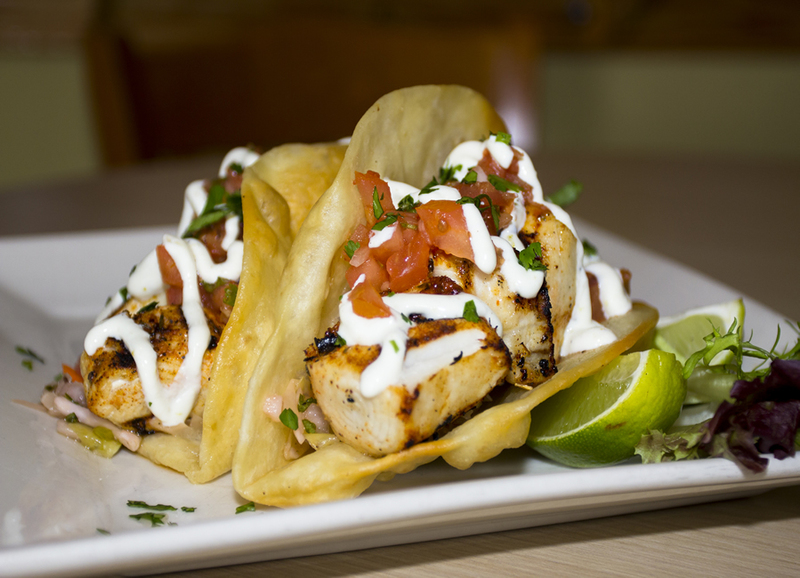 Customers can chose from an entire page of dishes such as chowder, tacos and the like featuring the restaurant's namesake fish as well as fresh Bermuda Lobster during Lobster Season. Bring your family for a nice relaxing meal or come for a romantic dinner where you'll overlook the moon lit harbour. 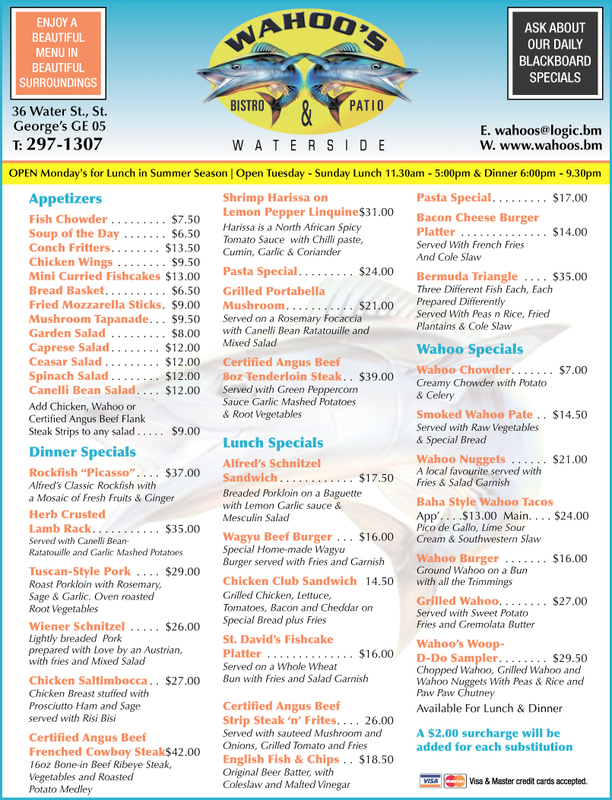 We are looking forward to serving you at Wahoo's.